Pilates is ideal for older people as it can provide a safe effective workout in largely reclining or sitting positions. Most Pilates exercises are low-impact and partially weight-bearing, which is good for the prevention of osteoporosis, the brittle-bone disease. The gentle routines build strength and improve posture, flexibility and agility. They are also good for balance, another plus for the fall-prone elderly, and correct breathing is encouraged, which reduces stress and anxiety. Probably the best advertisement for the programme is its founder, Joseph Pilates, who was lively, active and still teaching until his death – from a fire at his studio – at the age of 87. We spend hours each day hunched over computers and steering wheels, slumped on trains, sofas and bar stools, rounding our shoulders and inadvertently helping to cause the musculo-skeletal disorders that are such a feature of modern life. Once damage has been done, even reaching for something on a high shelf can be painful. It doesn’t have to stay that way. 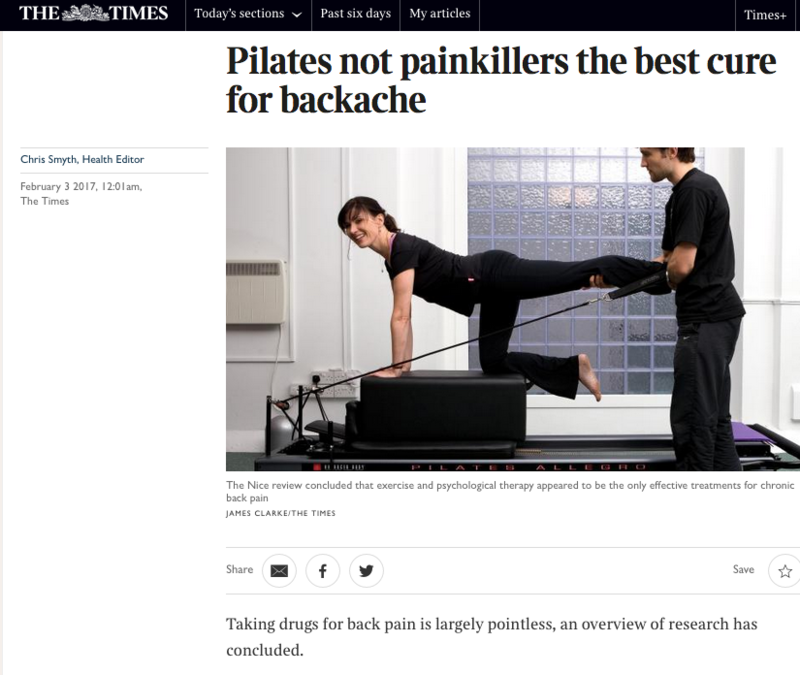 We rely on good muscle balance and strong ligaments to keep the shoulder joint stable, and Pilates exercises can improve body awareness and posture, strengthen muscles and achieve free-flowing movement, thereby reducing the chance of developing shoulder pain caused by poor posture or repetitive activity, or helping to heal a chronic complaint. Everyday anxiety is a problem, too. When we are stressed, the first place we feel it is in the neck and upper shoulders. Because these tensions can build up with time and contribute to muscle imbalances, simple relaxation is the first of the eight principles of the Pilates method.